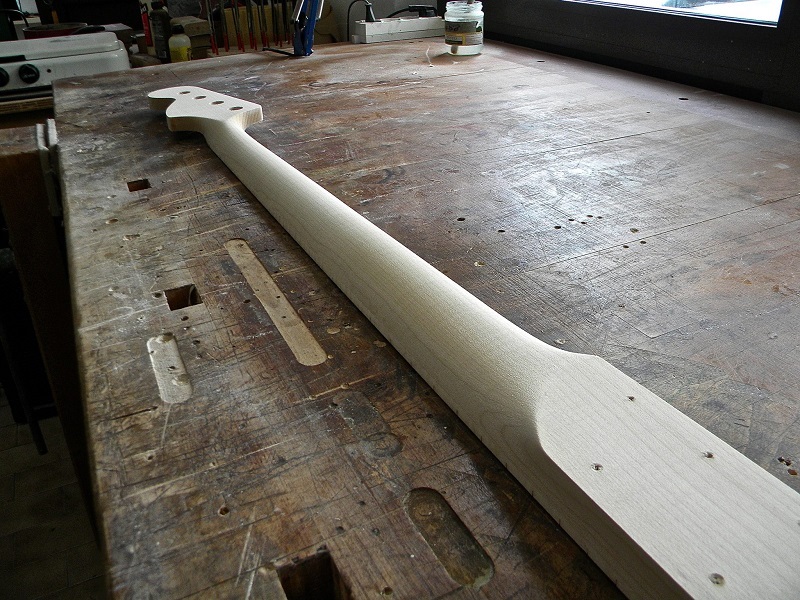 When it came down to discuss neck measurements I had two requests: it had to have 24 frets and it had to be narrow because I have small hands / short fingers, so no P Bass style baseball bat profile. Of course Matteo laid a lot of great ideas on the table and I couldn’t help but keep saying “yes”, “that’s great” and “you’re so talented it’s not even funny”. I told him how I really enjoyed playing a Music Man Sterling that belongs to a good friend of mine and how its neck felt good and fast; he got that on board and delivered something better: he started from the classic ’60s Jazz Bass measurements but added, quite literally, a twist to it. 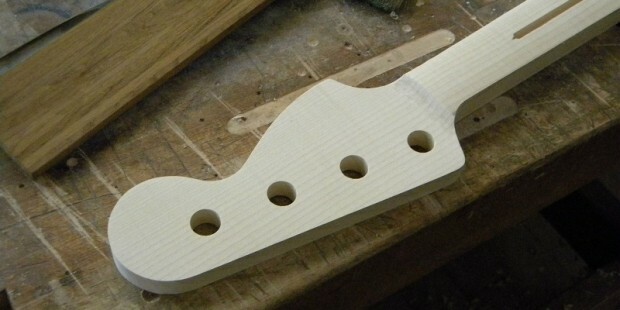 The neck will sport a variable taper construction technique: it will be a C profile at the nut and will slowly morph to a flat D under the higher frets. 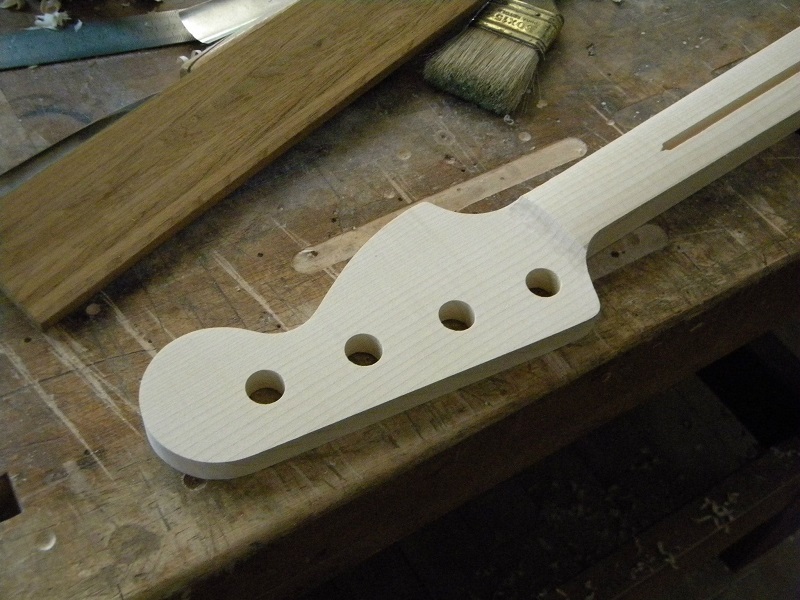 On top of that it’ll gradually become asymmetric, so it’ll help the thumb to get in the optimal position to help accessing the top frets. I can’t wait to lay my hands on it! 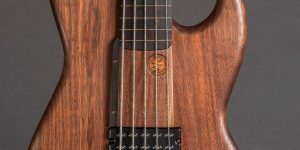 Another feature I always wanted on my dream bass is a flame maple fretboard just because, well, it looks gorgeous and feels really good under the fingers. 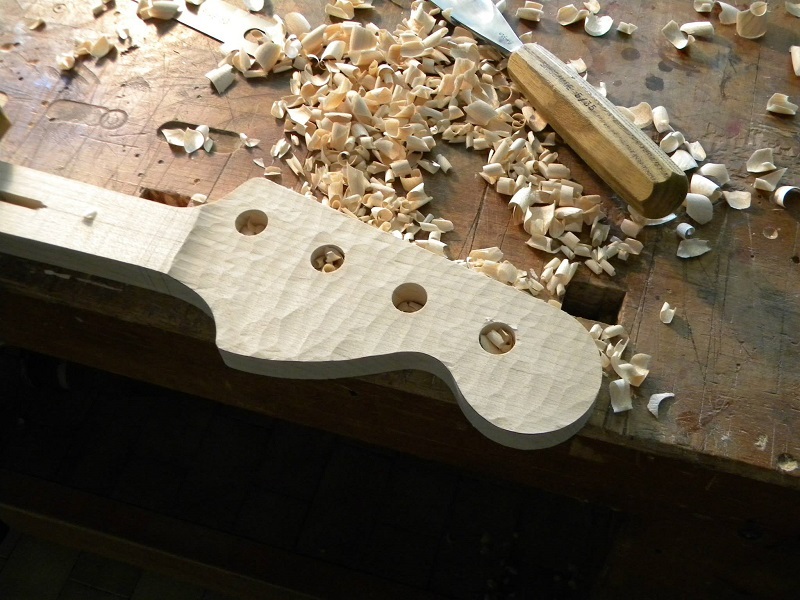 I asked if we could keep the finish to the bare minimum as I’m not a fan of finished necks; it kinda bums me out a bit when I’m onstage, things are a little sweaty and the back of the neck ‘catches’ my thumb. It’s a minimal thing and it really is a borderline first world problem, but what the heck, you’re having an instrument built on your own specs, better address every nuance. 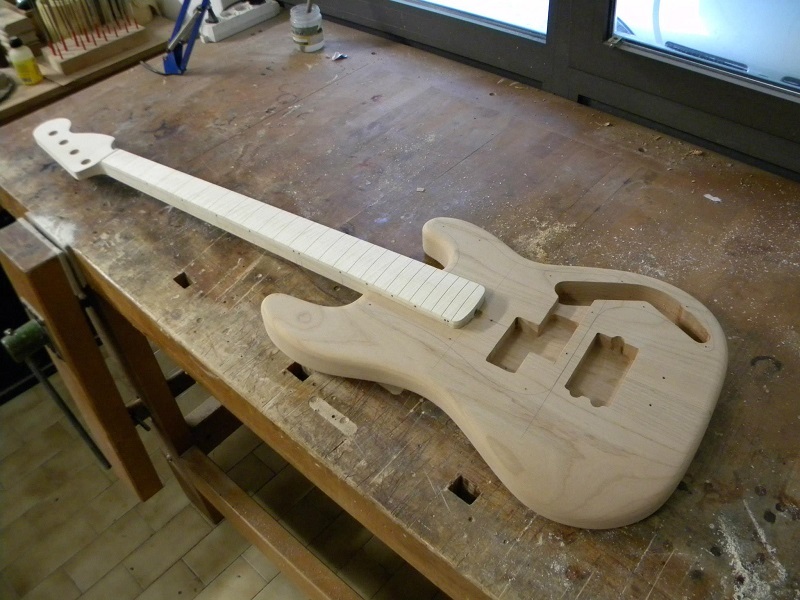 Matteo explained to me that he employs a very interesting building techinque when it comes to fretboards. 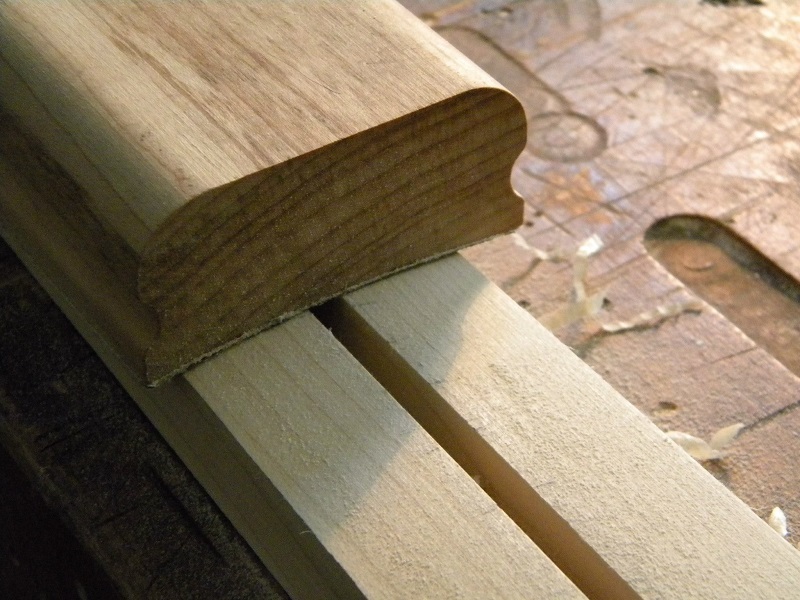 Instead of just gluing it to the neck and then shaping it, he sands down the neck shaft and then he glues the fretboard so that it follows the curvature he imparted to the main piece. He swears by this kind of approach and says it prevents dead spot problems. 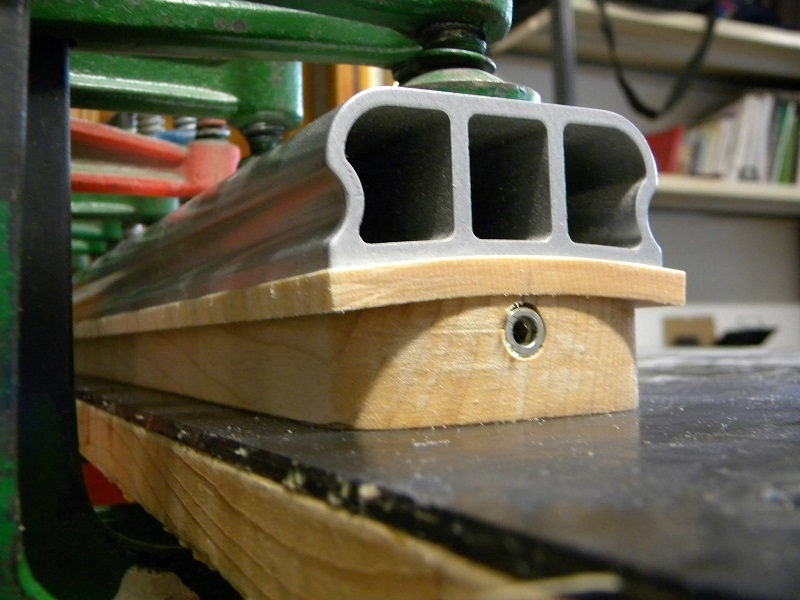 Lastly, here’s a couple of images of the instrument pieced together. 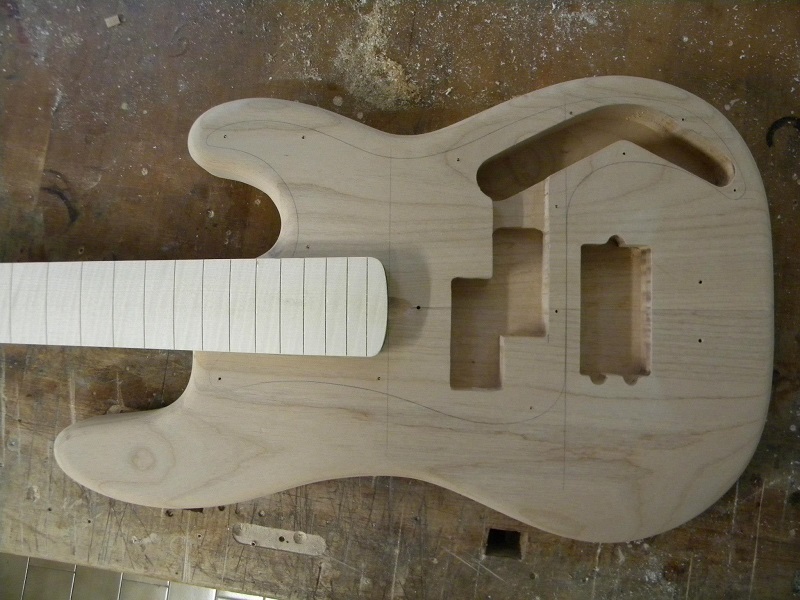 As you can see a lot still has to be done, but you can start guessing what makes it stand apart from a traditional Fender style instrument!